Metal roofs have come a long way in manufacturing. Today, they come in a wide variety of styles and options. Standing seam metal roofs are very popular, but there are also composite metal roofing systems that look like other roof types such as asphalt, wood, and slate shingles or clay tiles. We no longer have to go with a tin rooftop. Our Pickering roofing contractors at 360 Roof install all types of metal roofing systems today. Have you seen the gorgeous copper shingled roofs? Even copper roofing systems come in varying styles. One of the best features about metal roofing systems is how reflective they are. They help to reflect the heat from the sun, which makes your home more energy efficient. Metal roofs are strong and durable. They can stand up to hurricane force winds and hail storms. When nature punishes with winds, hail, snow, debris, heavy rain, and impacts, nothing stands up better to it than a metal roofing system. The roof defends us and our families from the outdoors. The stronger it is, the safer we are. Which would you rather do, have to repair your vehicle and replace it three times, or find a vehicle that lasts three times longer and is reliable? The same goes for the roof over your head. If you plan to own your home for any length of time, think about investing a little more now to build the roof stronger. Before replacing your roof, know the details about tax incentives for metal roof installations. Not only can you possibly save money on installing a metal roof, it will also help you to save on energy costs, repairs, and early replacement. The better a product is, the better the warranty is. Metal roofing manufacturers offer great warranties for their products because they know they are durable. A metal roof will, on average, stand up to about a 50 year lifetime. Your metal roof could last longer if you keep it well maintained. Imagine not having to replace your roof after 20 years or even 40? Sound Amplification With Metal Roofs? 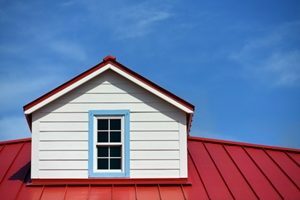 Metal roofing systems are often actually quieter than asphalt roofs. Metal roofs with solid sheathing installed will dampen the sound of rain and hail. They simply are not noisy like the old tin roofs. Be sure your roofing contractor installs the sheathing if it is not already on the structure and make sure they install the metal roof correctly or the fasteners may be loose or placed incorrectly. Pick the right type of metal, the standing seam or composites area a good choice. If you have questions or would like an estimate from our Pickering Roofing Contractors for Metal Roofing, please call 360 Roof at 416-360-ROOF or complete our online request form.